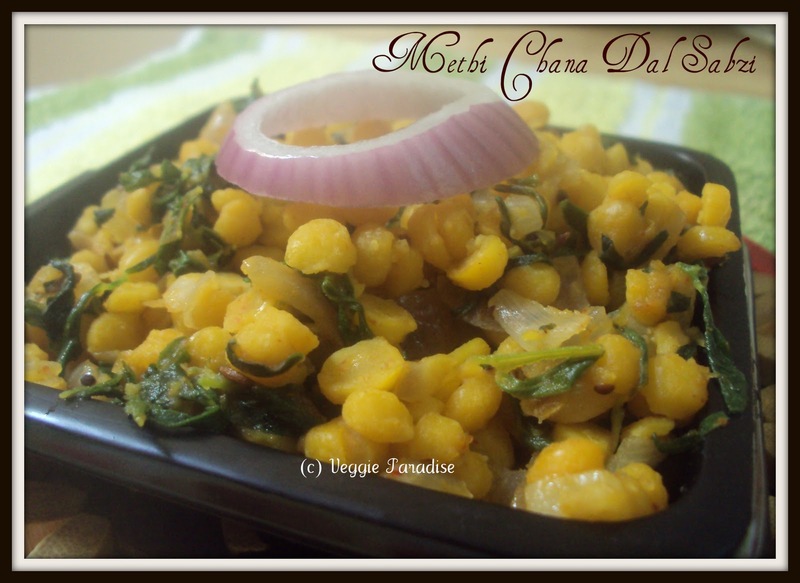 An healthy sabzi with Methi (or) Vendaiya Keerai and chana dal . This goes very well with chapathi/rice. 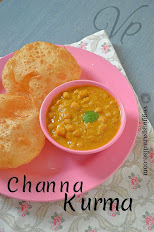 Cook the chana dal along with turmeric powder and keep it aside. Wash and pluck the methi leaves. Chop the onions and garlic finely. Heat oil in a pan, add the mustard seeds, when they stop spluttering add the cumin seeds. Add the garlic ,saute for a min. Add the chopped onions and saute them until they turn translucent. Now add the leaves along with the cumin powder, chilli powder and salt. Saute for 5 mins. Finally add the cooked chana dal and mix them gently in low flame. Methi chana dal sabzi looks really delicious. Very delicious and healthy combination of methi and chanadal curry.Nice pic. My favorite side dish..I add yellow moong dal ..Looks great !!! looks very yummy, love the gorgeous pics.. 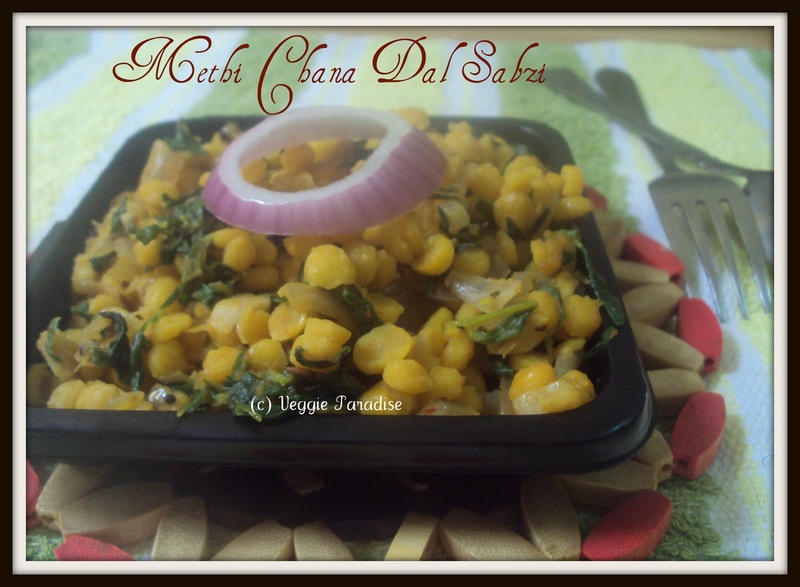 Healthy and tasty sabzi, aruna..Loved the combo n the recipe..
healthy n delicious..I do make methi leaves with moong dal...adding channa dal sounds great..
Aruna, that looks wonderful. 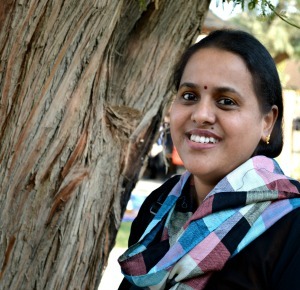 Please do send it to my "think spice: think fenugreek" event. Methi and Chana dhal is a unique combination and it must super delicious. I love fenugreek.. this a nice and new recipe for me.. will try for sure.. btw thanks for dropping by my blog and the lovely words :-) ...do keep in touch! Looks delicious. How much onion did you use?